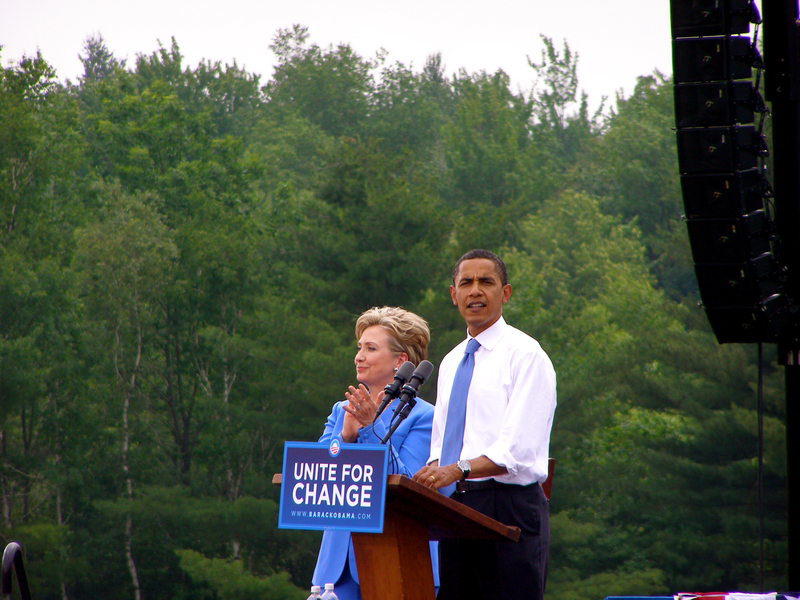 Obama and Clinton doing a rally in Unity, New Hampshire. Photo by Garfld986. Camera Maker: Olympus Imaging Corp.